The short story anthology "Lucky or Unlucky? ", containing my tale "Lucky Bill" is available now. Click HERE for more information as well as a sneak peak inside. Click Here to read Chapter One of this new thriller now! of his brother, Sleet dedicates his existence to finding out. I've collated my inate scribblings together on this site - a completely selfish enterprise, but one that I am more than willing to share with anyone who wishes to partake! Feel free to click on the above links where you can find all chapters to date of my current works in progress, Duplicity and Shadow on the Sun. In addition, I aim to compile a collection of short stories. Give me time though, It's an extremely sparse comodity these days! 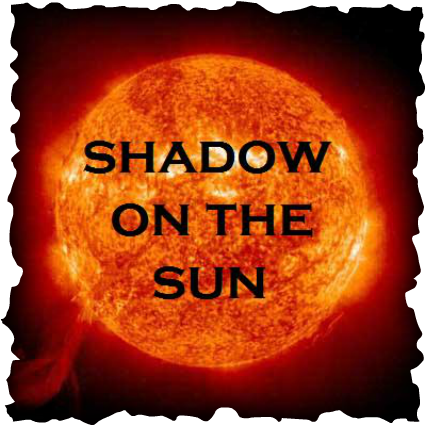 I also intend to provide some background information and some explanation of the development of the stories and in particular Shadow on the Sun. Much of what you will find herein can also be viewed within the pages of the excellent Orion's Child, the online science fiction and fantasy magazine (to whom I am greatly indebted) and also within the Stories section of SFFWorld.com where, indeed, a vast storehouse of extremely varied and impressive works can be found. P.S. please do add your comments within the blog section - all critique is greatly appreciated!! !